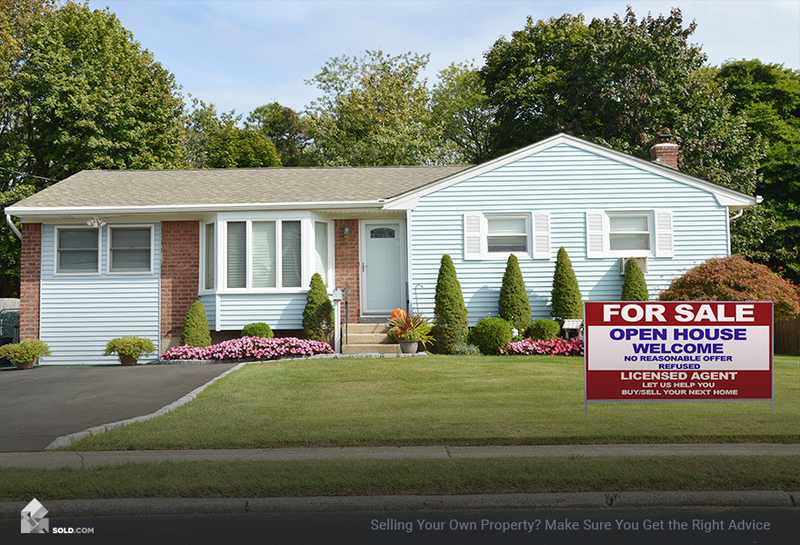 When going the FSBO route you’ll have to deal with prospective buyers’ agents directly. Most of the time, these people will treat you with respect and professionalism but on occasion, you’ll meet the agent who will try to bully you into unfavorable terms. Here’s how to prevent that from happening. Consider this hypothetical home selling situation: you go to Sold.com and take their free and easy Home Seller Quiz. Based on your answers, it gives you options that you might not even be aware of. In this case, your personality and property specifics reveal that you’re a perfect candidate to FSBO. One thing you might encounter as a For Sale By Owner is an aggressive buyer’s agent; here’s how to deal with them. When you’re selling your home by yourself, a buyer’s agent might assume you’re naïve, uninformed, or otherwise easy to manipulate. They might also think that by employing hyper-aggressive behavior, they can get you to accept an offer that is far below the real value of your home or agree to contingencies you’re uncomfortable with. But as long as you’re prepared and stand your ground, you can protect yourself from getting taken advantage of. If you are going to sell your home on your own, you need to anticipate that some prospective buyers and their agents are going to assume they know more than you do. So before you even put your home on the market, make sure you have priced it correctly. Pull sales comps (comparable sales) from sites like Zillow and Trulia, and make sure the properties are actually comparable to yours (i.e. similar in size, location, age, amenities, and upgrades). 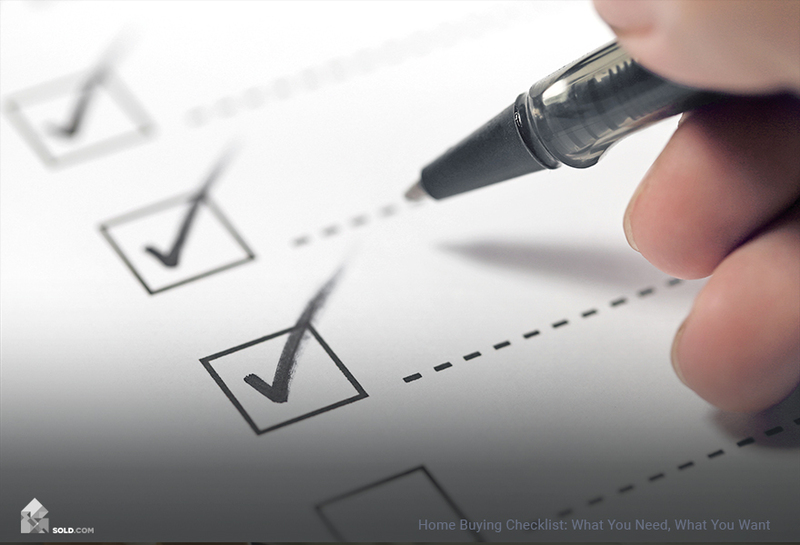 If you complete the Sold.com Home Seller Quiz, it will also show you ten recent completed transactions in your area, which could prove useful. Upon seeing that you’re selling your home yourself, a buyer’s agent might lowball you, then try to convince you that you’ve vastly overpriced your home. But don’t panic. Ask to see the source for their valuation. If they provide a comparable market assessment (CMA), look up the homes they included in their report. Make sure these homes are, in fact, comparable to yours. Multiple listing services (MLS) allow agents to pick which homes they include in their valuation assessments. So the buyer’s agent can purposefully choose properties that aren’t as valuable as yours and unless you dig a little deeper, you could end up getting duped into taking a lower offer. Another way to be prepared is to hire a home inspector before you put your house on the market. The buyers will hire their own inspector, but you want to know about any potential issues upfront so you can either fix them or price your home accordingly. Successful negotiators understand two basic things: 1) The other party’s motives, and 2) negotiations are about who has power (either real or perceived) and who doesn’t. Buyer’s agents are motivated by commission (i.e. if they don’t sell their client a home, they don’t get paid) and getting their client the best deal possible. To do that, the agents will try to figure out what’s the lowest price you’ll take for your home. But since your job is to get as high a price as possible, you can’t give the agents any unnecessary information. You can’t tell them if they’re the first to tour the property, or that you’ve had a prospective buyer back out. You can’t tell them you really need to sell because you’re getting a divorce, retiring, or starting a new job in another city in a week. Tell them nothing except: if the buyer’s agent asks if you have any current offers or if other parties have expressed serious interest, always tell them yes. No matter what. If you’ve received offers, then tell the agent this — but do not reveal what these offers were. Simply tell the agent to have their client present their best offer. If you haven’t received offers, tell them that you have several parties coming back for a second look. To help sell the story of serious interest, give the buyer’s agent a few details and a deadline. 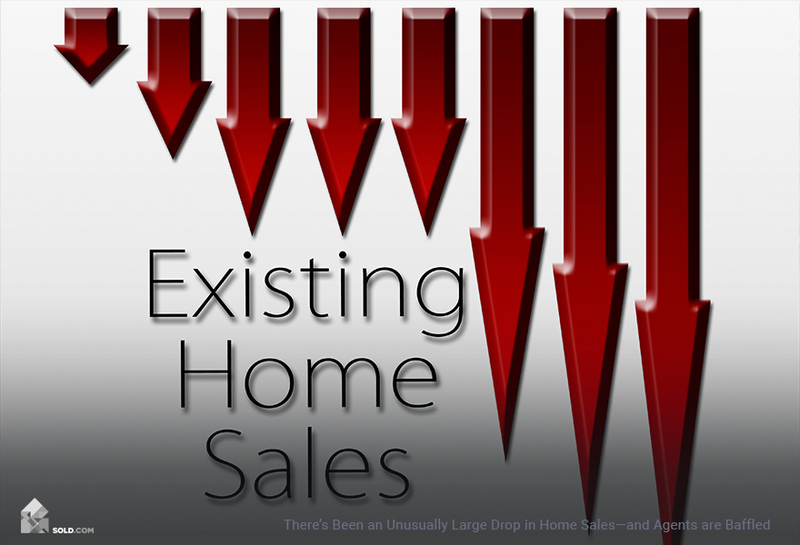 This tells the buyers your property is desirable and gives them a sense of urgency to put in an offer. In most cases, buyers and sellers submit two counter offers each between the opening offer and the final agreed-upon price. But if you’re going the FSBO route, you don’t have an agent to counsel you through this process. So if the buyer’s agent comes in with an aggressively low price and you don’t have any other offers, counter with a price that’s 1-2% below where you listed your home. If the buyer submits a second counter at a price higher than their first offer, then you know they want the house and were likely just trying to find the lowest price you’d take. If you have offers that are at your listed price or higher, then you can simply communicate this to the buyer’s agent and move on. Be confident. Even if you have to fake it, you must not show the agent that their tactics have unnerved you or caused you to doubt yourself. If you feel flustered, take a break. If you’re in person or on the phone, tell the agent you don’t appreciate the way they are speaking to you and that you need to continue this conversation later. If the agent is bullying you over email, don’t send your response until you’ve collected yourself. Be assertive, but not emotional. 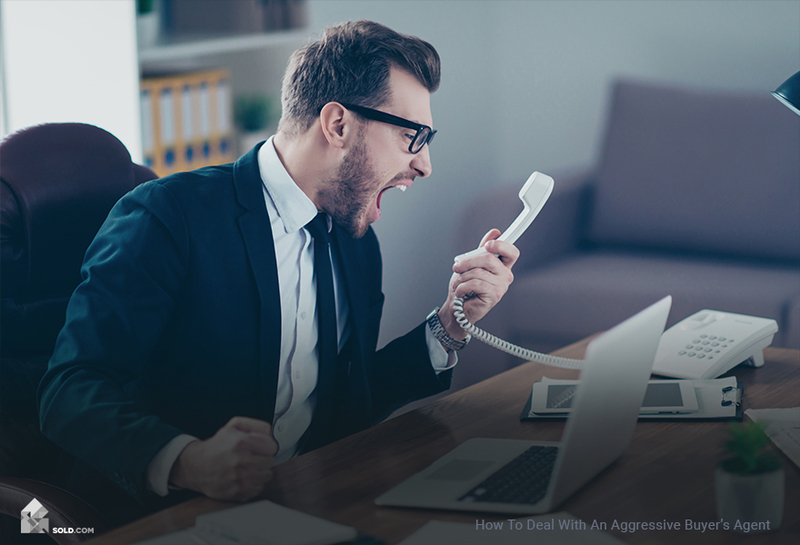 You might feel your heart rate increase or palms begin to sweat, but no matter how angry or emotional the agent’s behavior makes you feel, try to stay calm. They are just trying to get a rise out of you. Don’t give it to them. Again, if you need to walk away, do that. Give them the silent treatment. If you’ve received an abusive or threatening email or if you’ve needed to walk away or take a break, let the agent sit in silence for a day or two. A lot of times people will try a different tack if they’re not getting the response they want. Report them. Most states require agents to provide their license numbers on marketing materials, business cards and websites. So, if you’re afraid of confrontation, look for their license number in these places. If you want to put the agent “on notice”, then ask them for their license number. That should sound an alarm that you could (and likely will) report their behavior. Once you have the license number, contact your state’s department of real estate and file a complaint for unethical conduct. Most states track this information about agents and make it public, so consumers know who has a professional track record and who doesn’t. When selling your house without the help of an agent, you may feel out of your depth. But as long as you’ve done the research prior to listing your home and stand your ground, you should be able to escape the process unscathed — and with the full value of your home in your pocket.